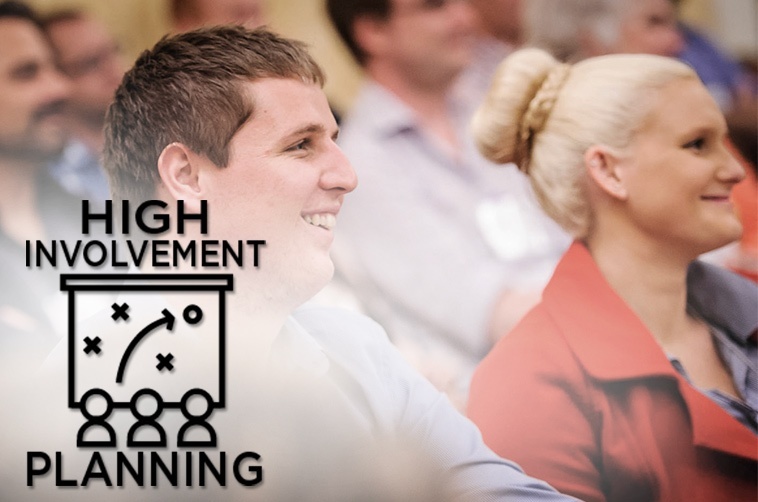 The High-Involvement Planning Workshop (HIP) is for experienced practitioners ready to transform planning from an annual, time-consuming ritual to an exciting, ongoing journey in which their entire organization is engaged in discovering the answers to growth and success. This workshop is designed to equip you and your team with tools, practices and know-how to implement and sustain a high-involvement planning process that consistently involves, informs and educates your entire organization on the realities of the marketplace and the strategic goals of the company. A strong HIP process takes planning out of the boardroom and gives it to the people who must make it happen. By design, we have limited attendance to this workshop to ensure that attendees receive the personal attention you need from our coaches and facilitators. This is a hands-on, highly interactive workshop where you can learn, share and discuss the unique challenge and rewards of running an open-book workplace. Create planning processes that consistently involve, inform and educate the entire organization on the realities of the marketplace. Define your company’s Critical Numbers™ and build your plan to rally around those numbers, linking your strategy to day-to-day actions. Develop a “Plan B” –a crucial contingency practice for on-going growth and success. Learn to bring financial plans to life with the power of “forward forecasting”. Understand how to build company-wide buy-in and commitment to the plan. Learn to conduct plan reviews that encourage participation and challenge assumptions. Prepare to get everyone involved in creating a zero-based, bottom-up financial plan. Executive teams who are involved with the company's annual planning process. Members of the sales & marketing team charged with developing and delivering on the company's annual plan.